English people are renowned for their booze cruises to France. A cheap ferry ticket and the prospect of cheap beer and wine is all it takes to get them to cross the Channel, but when they get there, they seem to just drive around supermarkets on industrial estates, loading the boot with booze, eat lunch at the ‘English Pub’ at Cite Europe in Calais and then head home again. All that effort across the water onto the mainland seems such a waste. So in a vain attempt to encourage Britain’s booze cruisers to open their eyes to the wonders that France (and the rest of the continent) has to offer, I introduce – The Bakery Binge. Okay, it’s a far cry from a Swiss wellness break from a health point of view and isn’t exactly ideal if you’re on a diet, but with France being home to the best patisseries and boulangeries in the world, it might just be enough to inspire a few people to travel beyond Calais. (I probably shouldn’t mention it, but they also have a store in London if you just can’t be bothered to go all the way to Paris). 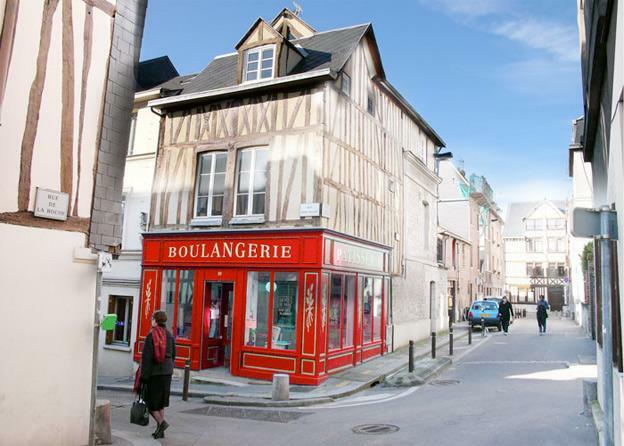 In the ancient town of Rouen, a short drive from the ferry ports of Le Havre and Caen is an immaculate bright red shop with the sign Boulangerie on the front. Inside is as colourful as the outside with a fairytale selection of cakes, sweets, pastries and of course bread. And for the complete bakery binge experience, you can actually stay at the bakery in the rooms above the shop at the Boulangerie Chambres d’hôtes B&B. 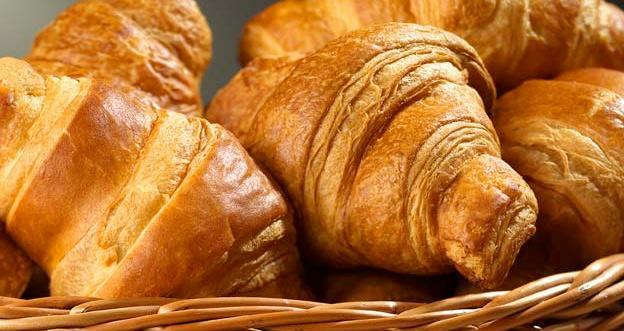 Pain au Chocolat – the authentic chocolate croissant somehow is so much better in France than anywhere else. Tarte au Poire – they have all sorts of gorgeous fruit starts in France, but tarte au poire (pear tart) is always a good choice. Florentine – colourful sweets that taste as good as they look. Sandwiches – I know sandwiches are technically English, but ask any boulangerie to make you a ham and butter sandwich in a fresh baguette, and you’ll know why we’ve recommended it. Artisan Breads – forget all that sliced white stuff you eat at home, ask the baker what bread is their speciality. Typical speciality breads include Pain au Cereales and Pain au Olives. If you can find it, try the unique olive infused Fougasse bread, which as its name suggests will certainly give you a Foogasm. We’d love to hear about your favourite French bakeries and your recommendations of your favourite French bakery binge treats. Feel free to leave a comment below. If you’re looking for France Hotel Deals, simply use the search box for your dates and destination and Hotels Fairy will search the internet to find you the best room rates. 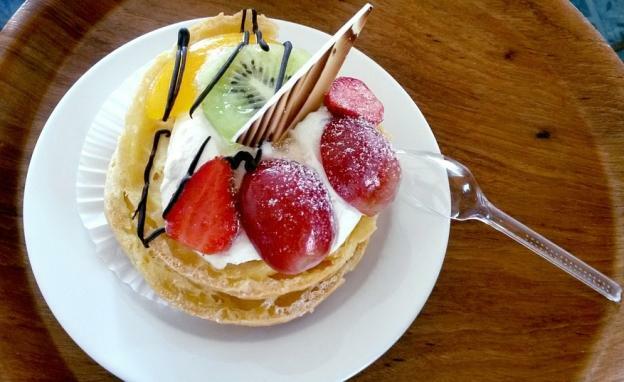 Camille Beaufort, the author of the article “Forget the Booze Cruise – Go on a French Bakery Binge” is a well known French pastry chef in Paris.